Thrifting in this part of the country really slows down as the weather gets cold. No auctions or garage sales which is where I find most of my items. 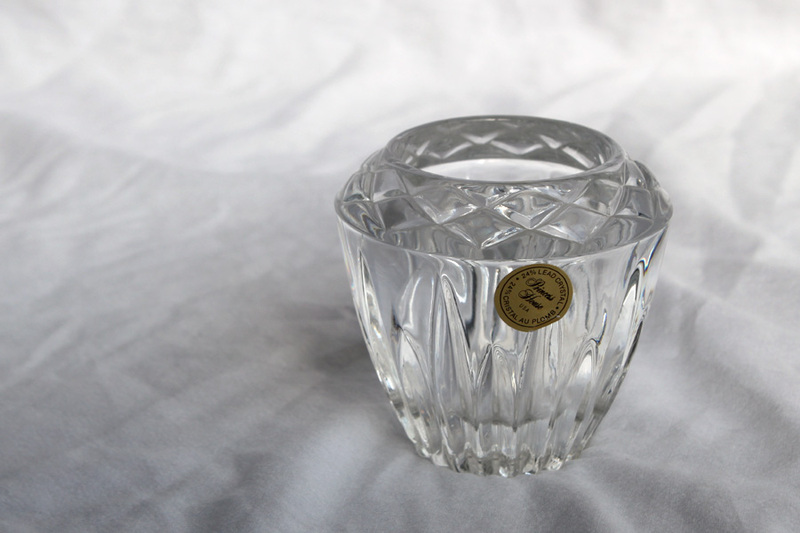 I have hit a thrift store or two each week, but that is just not where I find my interesting pieces most of the time. So today I am showing a few more items I found in boxes as I am organizing my holding area. I thought this chicken waterer was so fun. I grew up on a farm with chickens. We had larger ones because we had quite a few chickens. 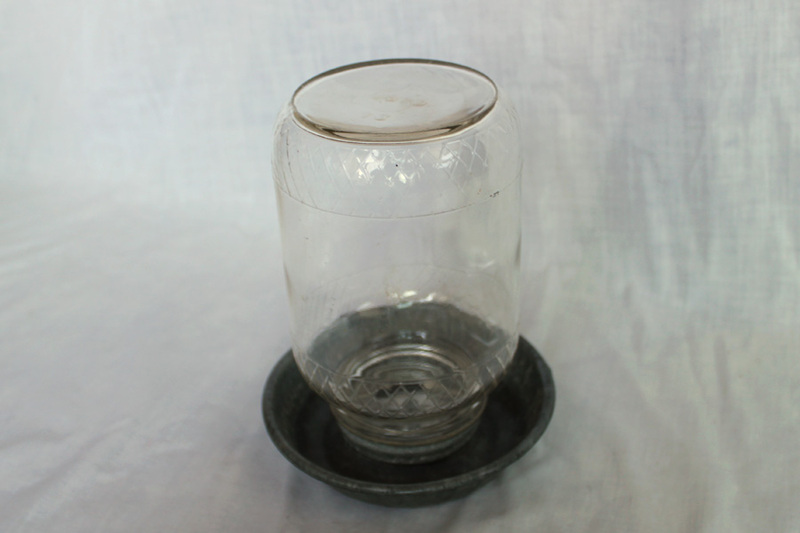 This one is made of a tin base and a coffee jar. I have had this one listed in my Shop. 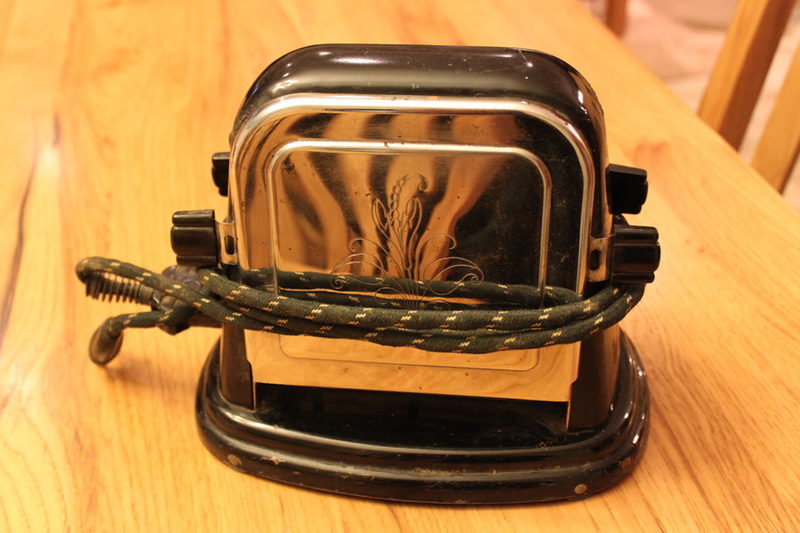 I love the look of old toasters. I sold the one I had at my fall garage sale so when I found one in a box lot, I was happy. 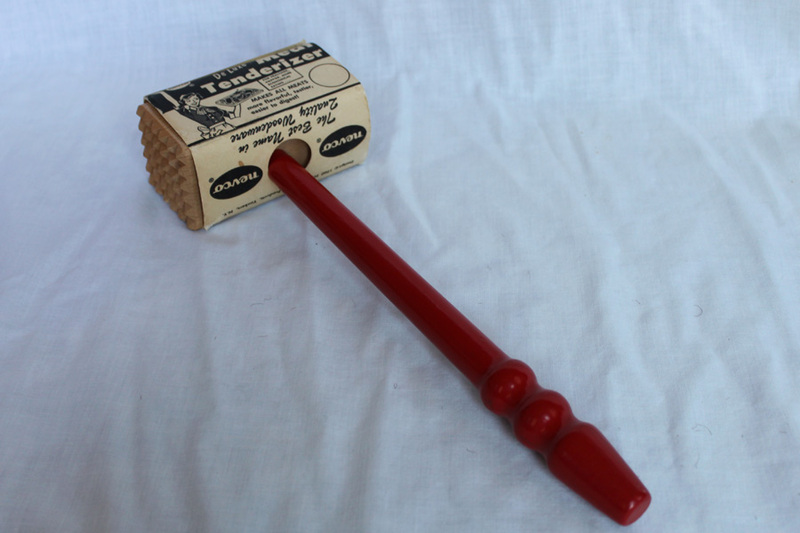 I thought this meat tenderizer was so cool. It is old but never was used. The red handle is so fun, and so are the graphics on the paper. I really thought this chair is so cute. 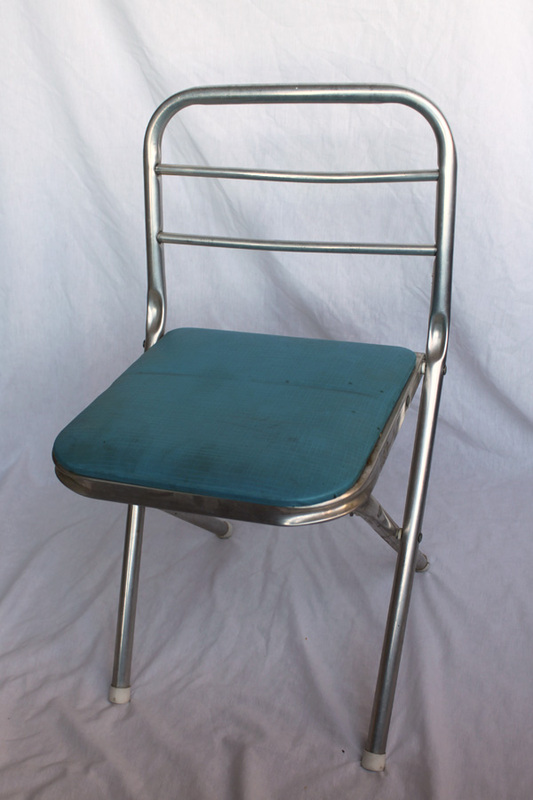 It is a child’s chair. I know turquoise is popular, but changing out the seat cover would make it so fun. I have this at Traveling Trunk. 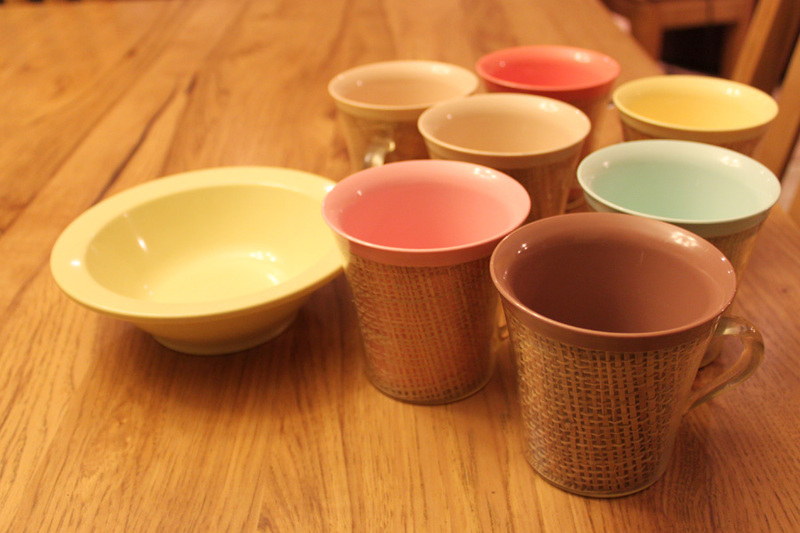 I loved the color of this sugar and creamer set. 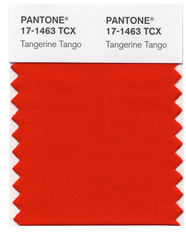 Yesterday I just heard what color Pantone has selected as the color for 2012, Tangerine Tango. Hmmm, pretty close. I knew that the color would be a peach/orange color. Turquoise was the color of the year two years ago. About 25 years ago the color was also turquoise and then a couple of years later it was peach. (I know because my bridesmaid dresses were peach in 1990.) Trends are always repeating themselves. This year my nieces bridesmaid dresses were Turquoise, so I had a feeling. So yes, Tangerine is suppose to be the “in” color. What do you think? Do you like Tangerine? Here are a few more items I have found recently. 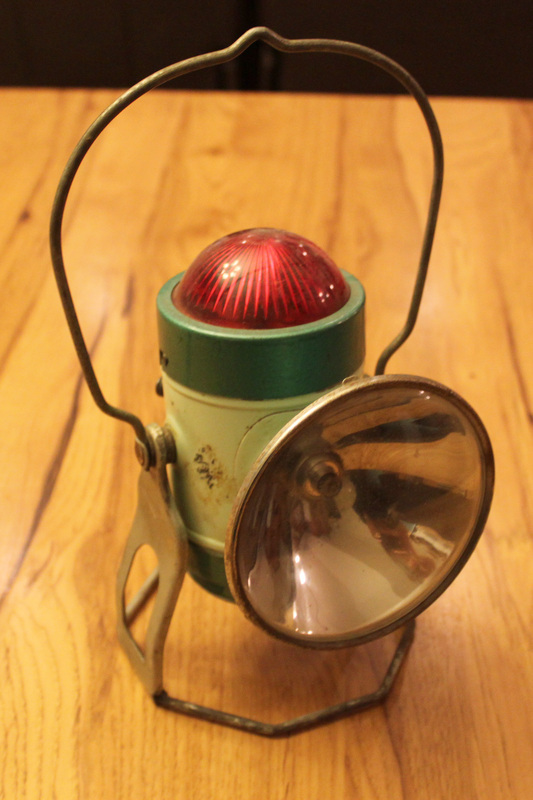 The above Railroad Lantern is an awesome find. I just had to have this. 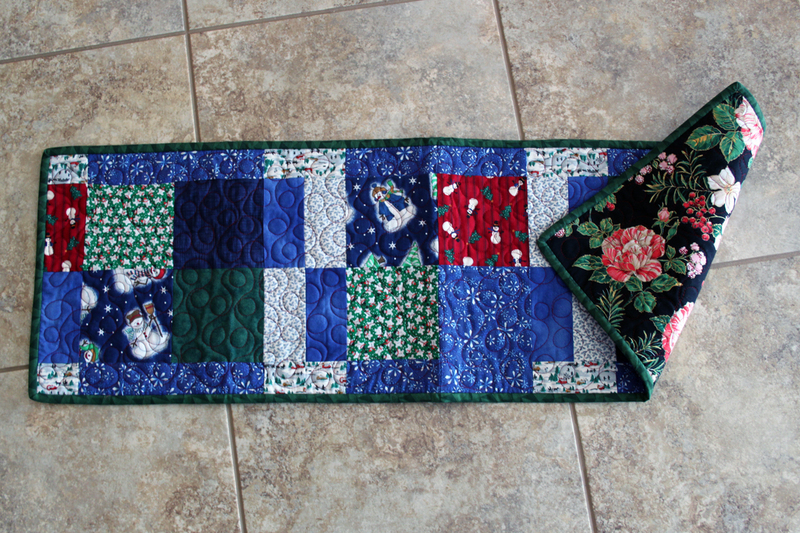 I am trying to figure out how to display it during the Christmas season. The red and green colors are perfect holiday colors. It may just go above my cabinets. Still not sure. As I have been thrifting, I have noticed that I have a thing for old tins and aluminums. Must be why I really enjoy my Aluminum Hot Water Pots. This was in an All To Go box from an auction. I love the patina and look of it. This is my first piece that is from Occupied Japan. I just never come across items that are from that period of our history. 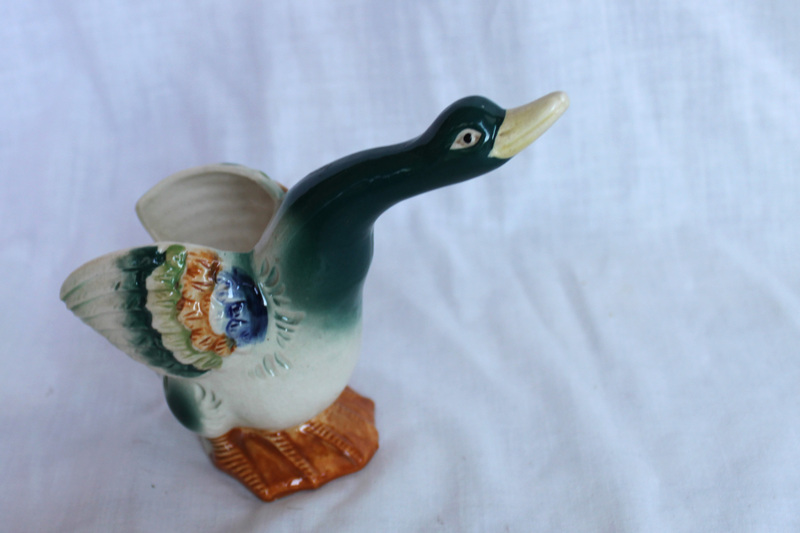 I am not sure if it is the duck itself or all the stories this little piece represents that makes me enjoy it so much. This is one of my most recent favorite seasonal items. 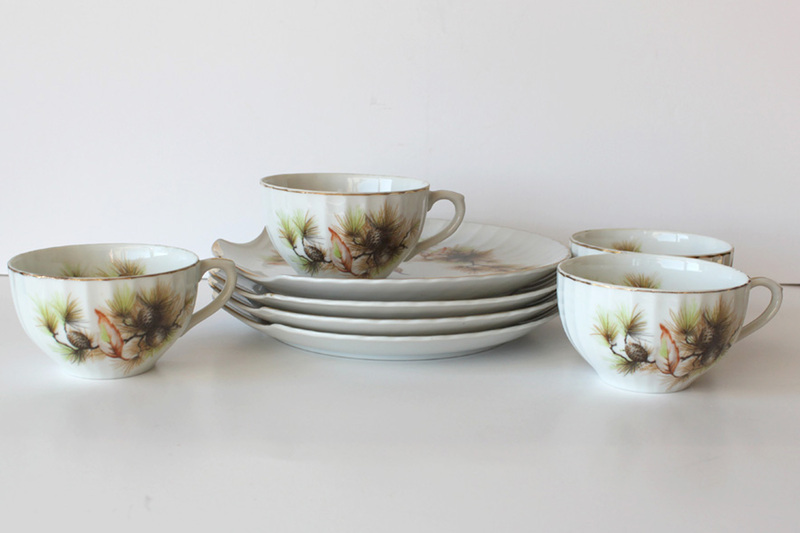 This 4 piece snack set has gorgeous evergreens on them. Festive. Do you collect Occupied Japan pieces, snack sets, or tins? 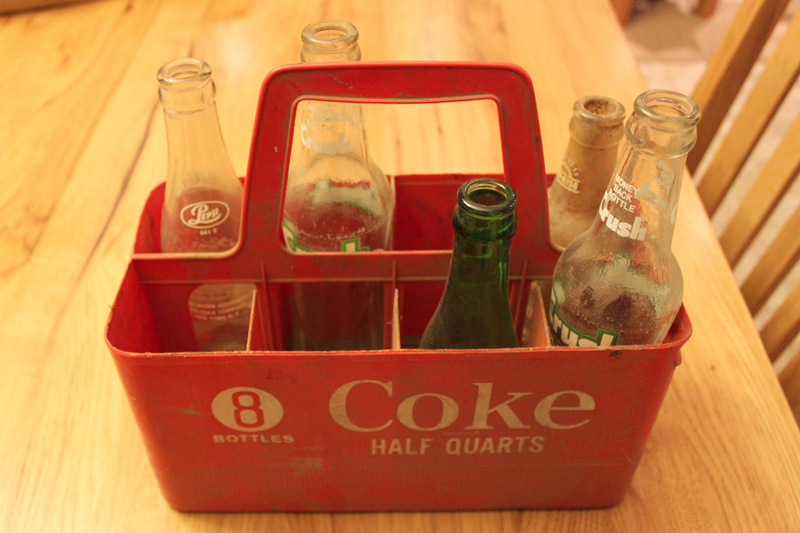 I was so thrilled to find this plastic coke bottle carrier. It is so dirty. 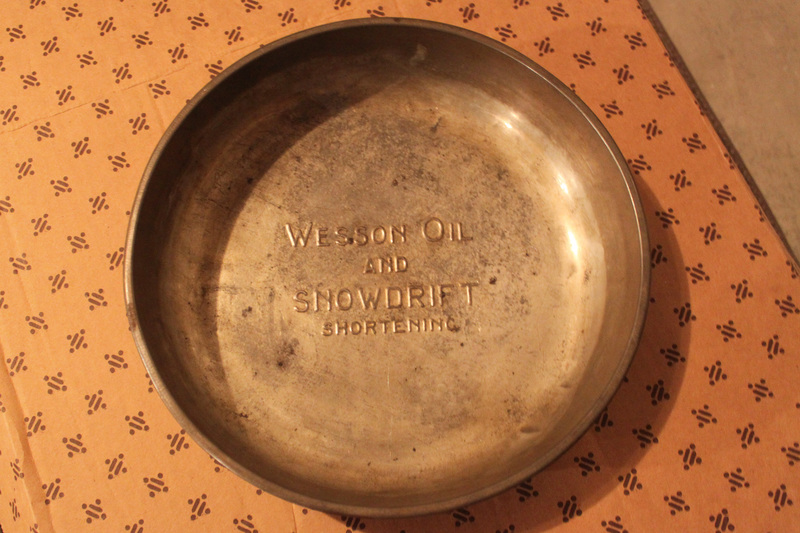 However, once it is cleaned up, I am sure it will make a great flatware carrier or a craft brushes holder. It could stay in its lovely vintage Coke look or it could be painted. So many options. 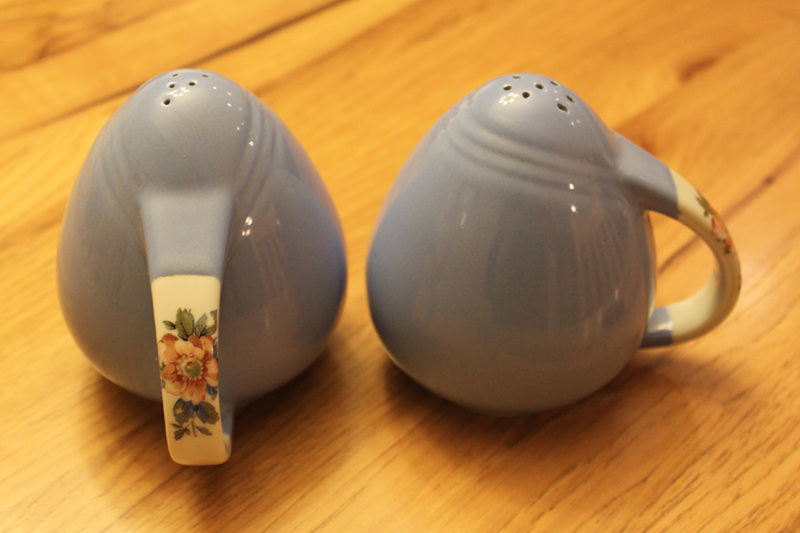 These salt and pepper shakers are made by Hall. I liked their shape. They have a MOD shape when you don’t see the handles. 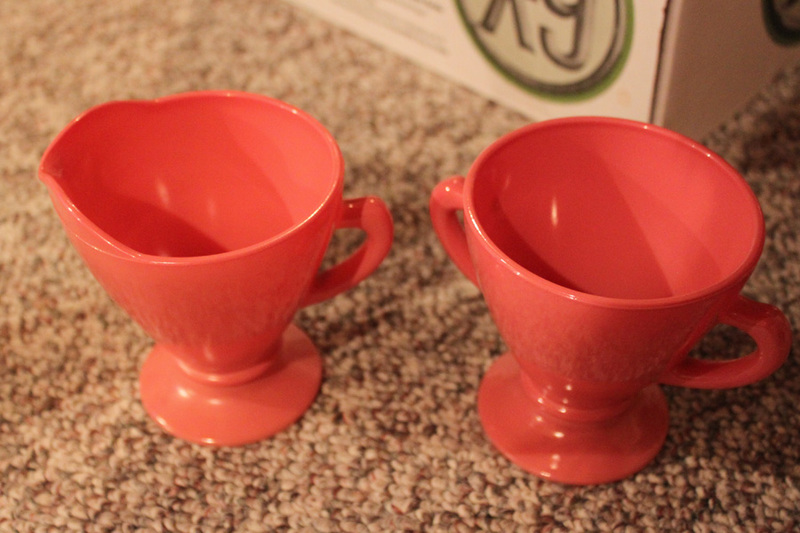 These are insulated Melamine cups with a bowl thrown in as well. I like the colors. They would be perfect for an Easter picnic. What? I know it isn’t even Thanksgiving, much less Christmas yet. I do love the fall Holiday season, but my favorite season is spring with the days growing longer and warmer. We only have 1 month left, and the days will start growing longer. Yeah. 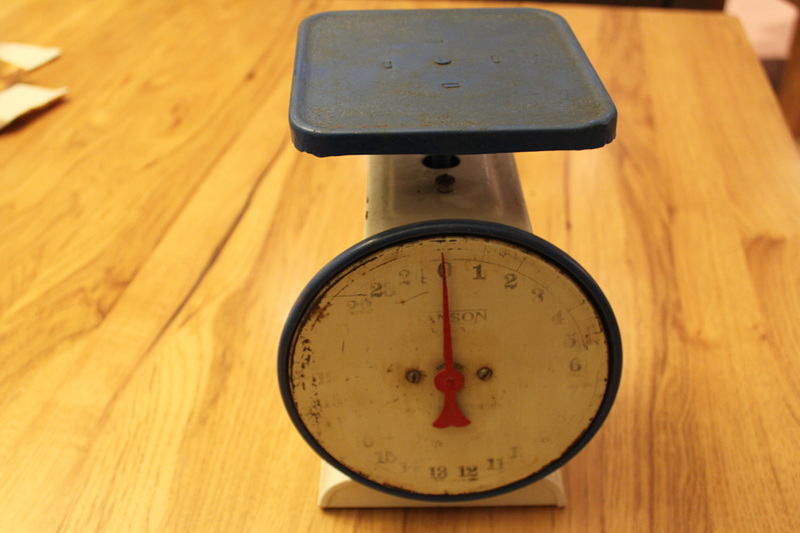 Finally, I found another scale. I have shown you the three others I found in September, A Tale of Scales. This one I like simply because the face is mostly worn off. The blue is a pretty bright blue that is rusted. Just can’t pass up a great scale if it is priced right. This one was only $2.50. So are you still finding some great treasures? There are no auction sales scheduled for the remainder of the year. 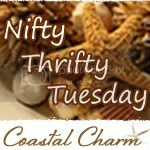 Most of my junkin’ will be at thrift stores, so not as many items. I am still organizing all my stuff as well. Finding things I have never shown. I probably will be blogging a little less in December. 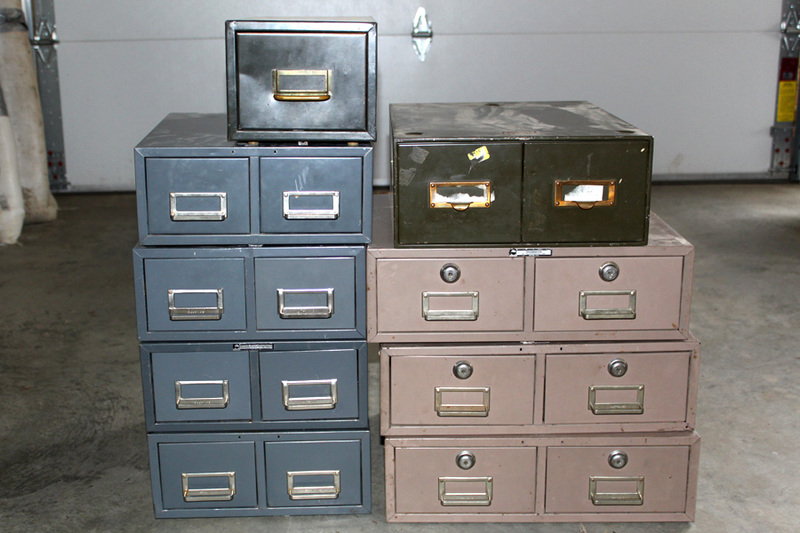 But, if you want to keep up with my thrifting, please feel free to subscribe to my blog through any RSS Reader. Or you can click on the links on the right, RSS Feeds or by email. Thanks for reading my blog. I want to continue to make it something you have fun reading. As I was loading this photo for my blog post, the thought, “What was I thinking” crossed my mind. I was at an auction sale for a couple of hours this past weekend. I was a hunting widow on Saturday, and my son had an event at our church. So after I cleaned my bathroom, I ran to the auction sale. Recently on Etsy’s blog I read that the Industrial Theme is hot right now. So when these came up for auction, my bid card went up. No one else bid. I was excited. But now I look at them and realize they need a lot of tender loving care to clean them up and make sure they are in great shape. So would you have bought them? I have several fantastic items to show you this week. This steel crate was something I got a couple of weeks ago, and I forgot to show you. Not sure how I omitted this one; it is probably one of my most recent favorite finds. 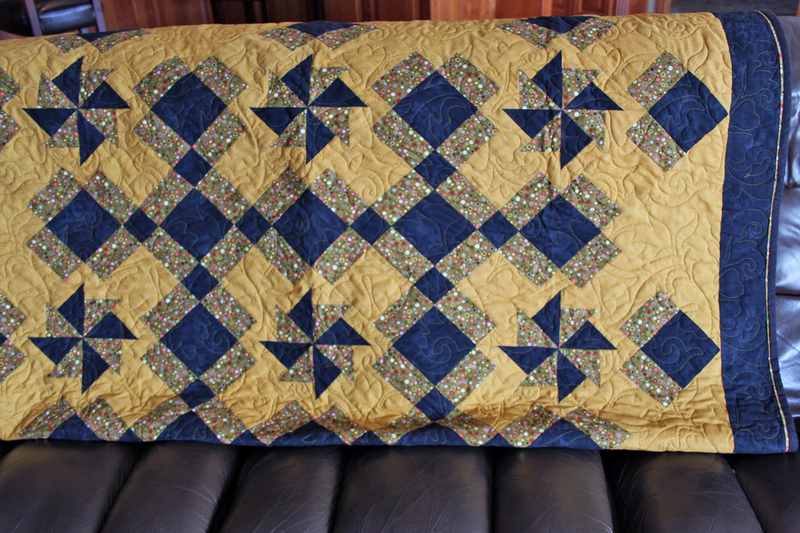 It is sturdy and has a wonderful patina. 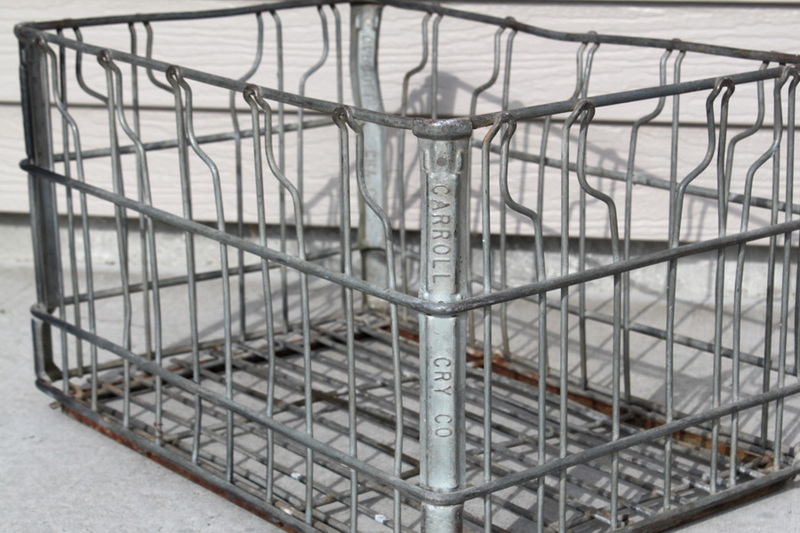 It isn’t a typical square milk crate but a rectangle shaped. File folders fit in it perfectly. 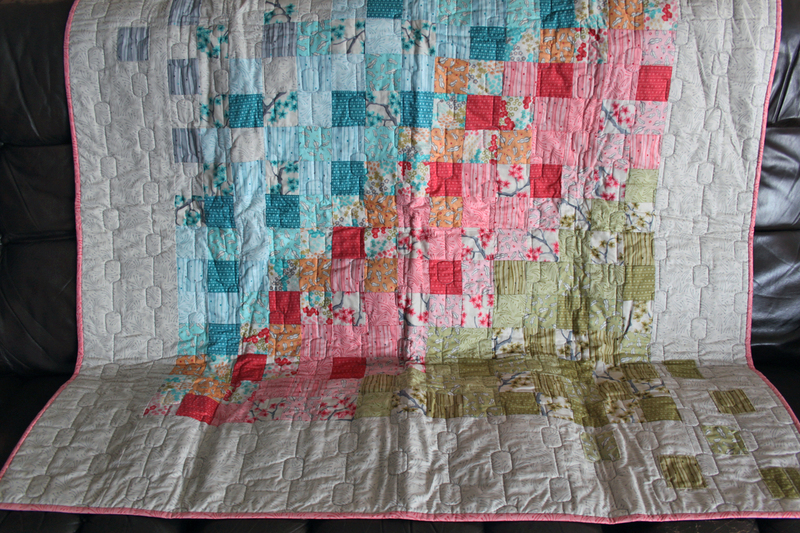 I just got this one listed in my Shop, so I just had to show it to you. 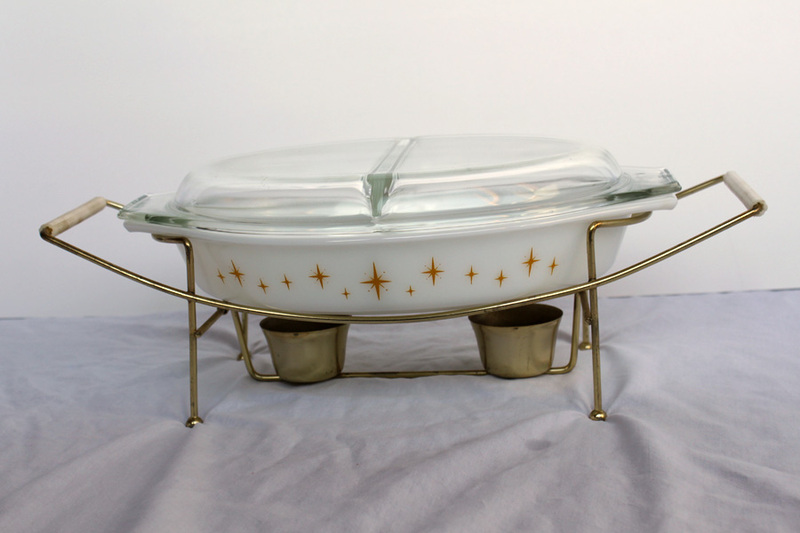 This pretty Pyrex divided casserole dish with its holder is so cheery. I believe it is called Constellation. 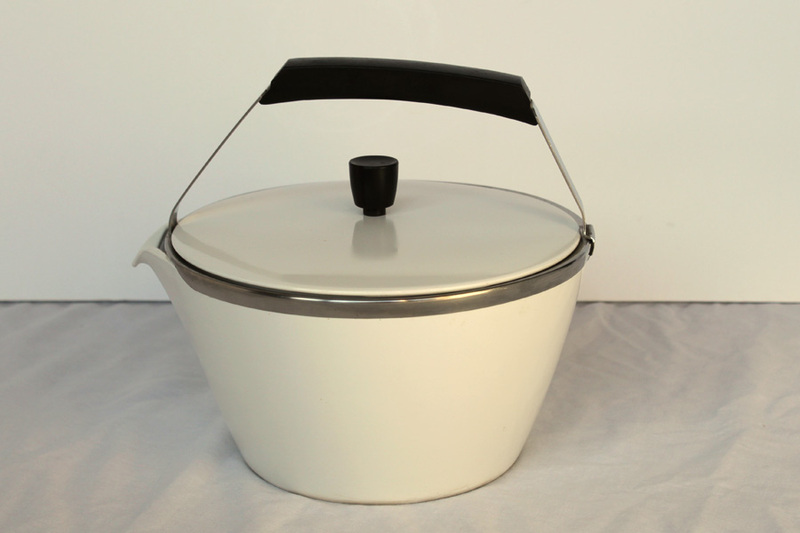 This is a Corning Mod Tea Kettle. Even though I am not typically into the mod look (I am more into the rustic, shabby, metal or wood look), I absolutely love the look of this one. It is in excellent shape. I am starting to learn a little about Princess House Crystal. It’s another thing I am not typically drawn to, but this little candle holder is so heavy. It just seems to sparkle. This one was hard to take a photo of. It is an old, glass light fixture. The pattern is so pretty. 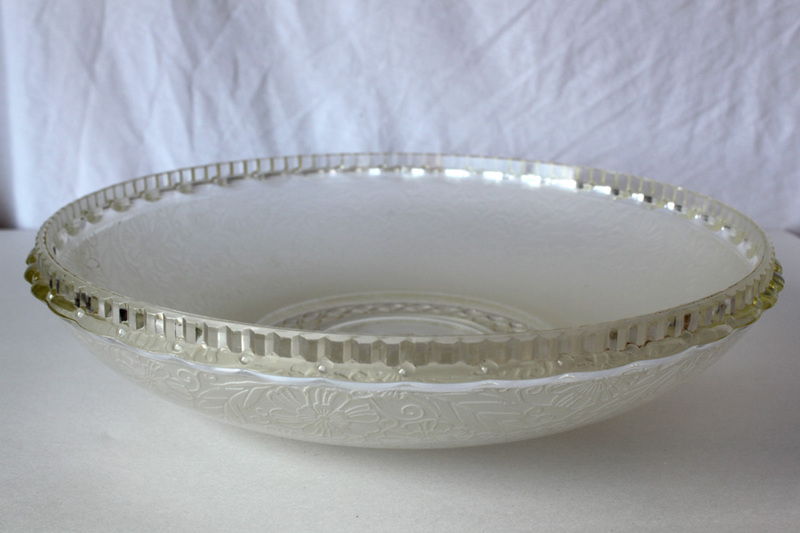 I have been trying to decide if I could us it for a bowl or something else. If I can’t figure out an idea to use it for, I probably will sell it. I will enjoy the elegance for a while though. So did you find some great treasures this past week? I would love to hear about them. Now that picking is slowing down while the weather gets colder, my goal is to get my treasures organized. If any body has any suggestions as to how to keep track of and organize your thrifted finds, please leave me a comment. So I started looking through some of the things I had purchased earlier this year. I found these typewriters in a corner. I had wanted to purchase one for my den at an auction sale. However, by the time they came to these Smith Coronas, the day was getting long. The auctioneer made 4 huge piles to be sold all to go. 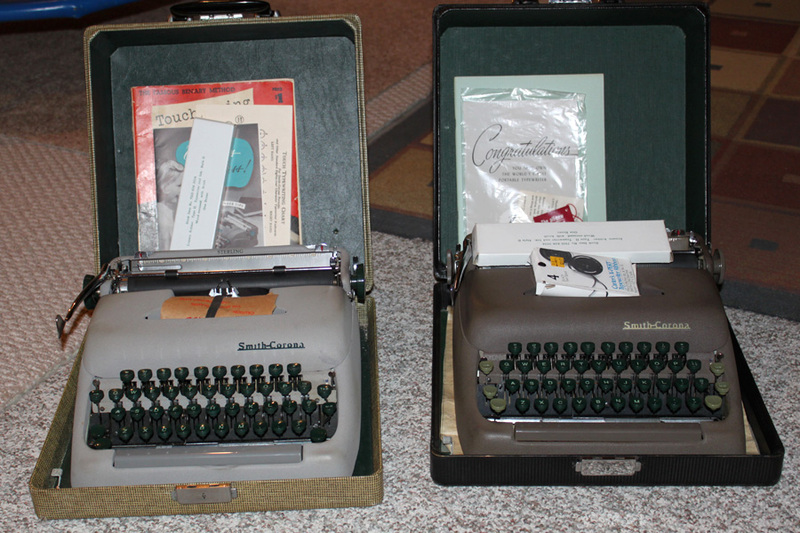 Now I did not want all the other stuff, 8 boxes of stuff that were piled with these two, heck I didn’t even want two typewriters. Would you have purchased them? What if I told you that the pile went for $5? Would you have bought them then?